"Great e-pattern with fast electronic delivery! We'll have fun creating her. 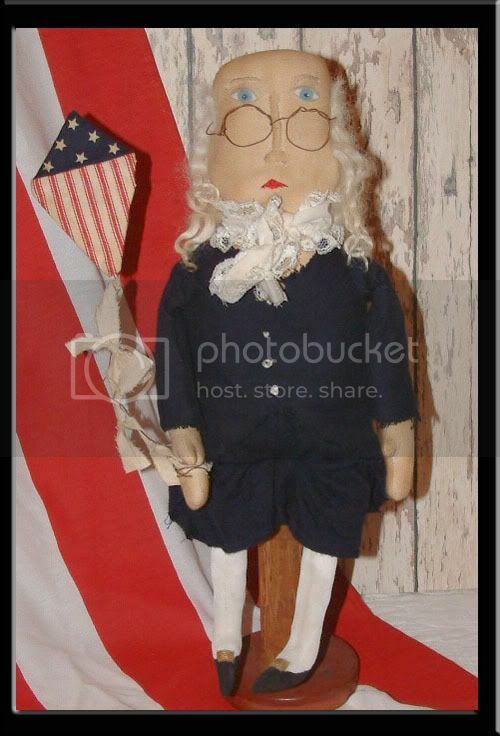 Ben Franklin stands 14" tall. Ben is dressed in a navy blue coat and pants. Instructions are also included to make his glasses and his kite.